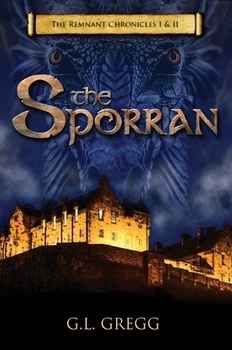 The first work of fiction ever published by Butler Books, The Sporran contains the first two books of the Remnant Chronicles, author G.L. Gregg's new series of novels about an ancient Celtic power awakening in America, and a secret society in Scotland that has protected the world's greatest treasures for centuries. Readers will cheer Gregg's young protagonist, Jacob Boyd, as he discovers the mysterious powers of a musty old Scottish sporran that plunge him headlong into a dangerous adventure deep in the catacombs beneath Edinburgh Castle, where unseen perils—and the fate of the world—await him in the dark. For young adult readers, this is the first in an exciting new series in the spirit of Harry Potter, The Lord of the Rings and other fantasy favorites. Excerpts, supplements, and first-to-know news about upcoming installments in The Remnant Chronicles can be found on the book's website, www.TheSporran.com.